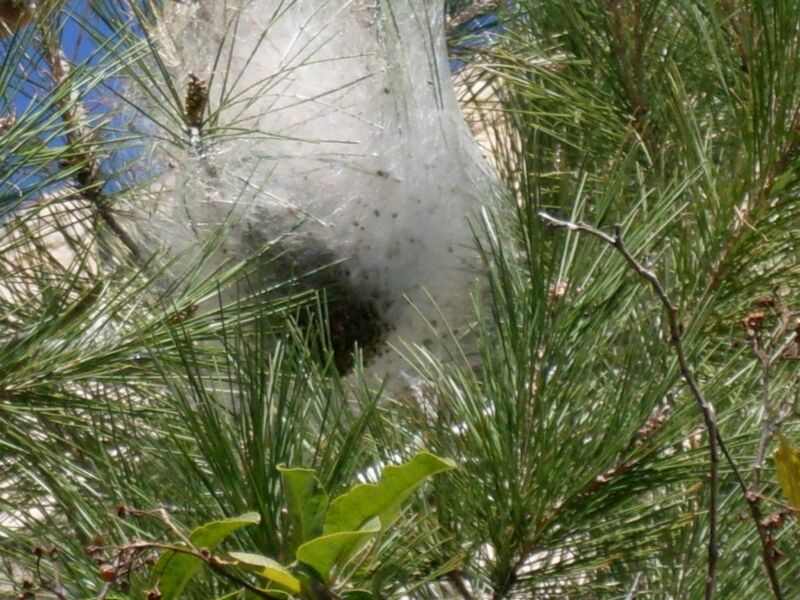 So you have spotted the nests of the pine processionary caterpillar in the pine trees in, or near your garden,and want to know how to get rid of them, safely. If you live in southern Europe, at certain times of the year, usually starting December/ January, you will notice what seems to be a silky white nest of what could be cotton wool high up in a pine tree. 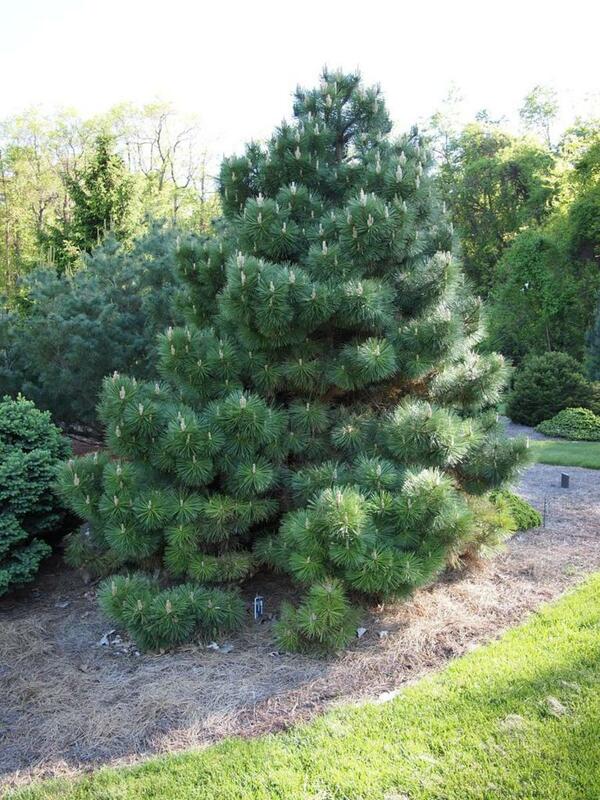 In young pine trees that have not yet gained great height, they are easy enough to deal with. 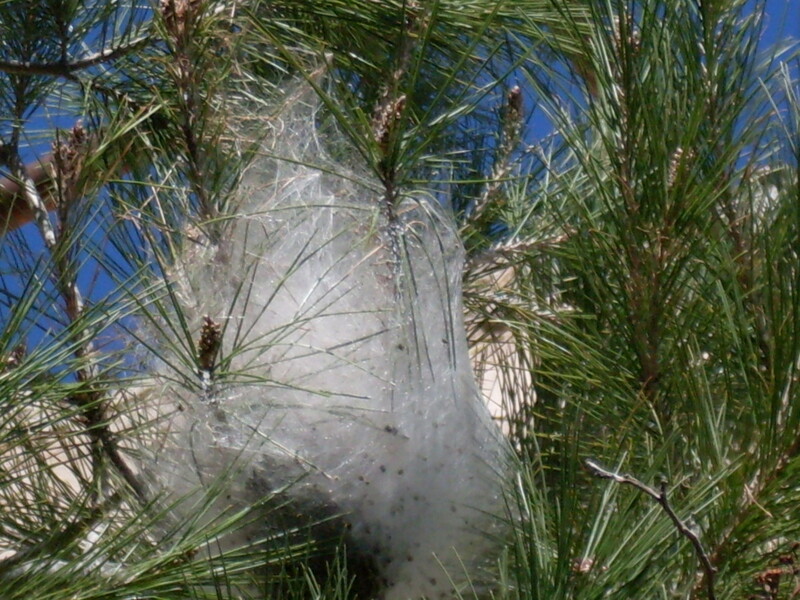 The problem is how to get rid of a pine processionary caterpillar nest high up in a mature tree which of course can, depending on the variety, reach 80 metres in height. Most pine trees in Spain, Portugal, Italy and Spain are smaller than this, thanks in part to their type, to gardeners pruning them to prevent too much height and drought which does not encourage them to grow high. If you can safely reach the nest of the pine processionary caterpillar, then you should take steps to remove it, the earlier in the year you spot it, the better. The developing caterpillars leave their nests at night to feed off the sap and needles of their host trees, damaging them, so the earlier the problem is dealt with, the better for the tree in question. Then again, I don't much like pine trees because they are home to the processionary caterpillar. The smaller the nest, the less developed the caterpillars and so the easier they are to destroy. Wear gloves and clothing which covers as much of your body as possible, and detach the nest from the tree - cutting the branch the nest is on if the nest looks like breaking up offering an escape route. 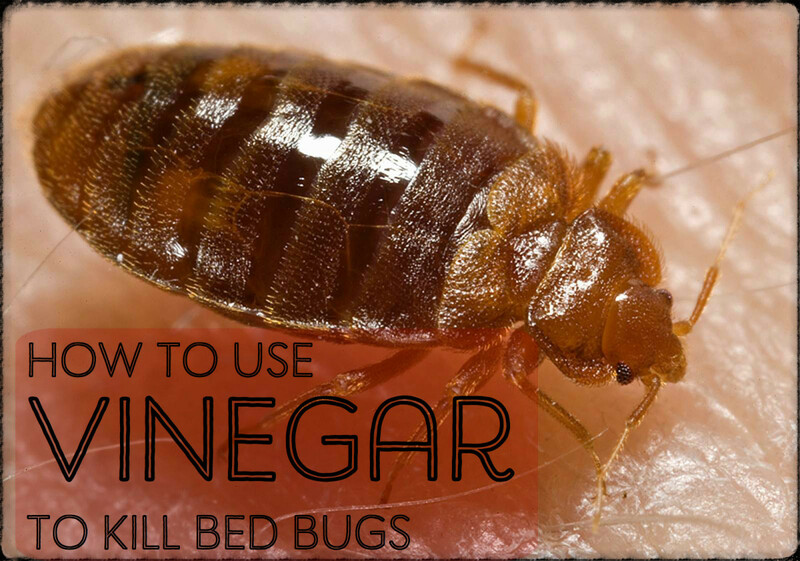 As soon as the nest is on the ground, burn it to make certain its occupants are dead. You can either start a mini-bonfire with papers and dry twigs around it, or use an aerosol can and a lighter. Spray the content of the aerosol on the nest and then set it alight and watch it explode. Keep your distance if you do it this way. Afterwards, change all your clothing to make sure no part of the nest attached itself. If the nest in the tree is high up and outwith your reach, even with ladders, then it is time to call in the Council. They will send men out to deal with the nest, free of charge in most cases. Left untreated, the caterpillars will eventually mature enough to leave the nest where they are instantly recognisable by the way they travel. One always attaches itself it the rear and of the one in front so that they form a procession, though no I don't know why the one in front knows he has the lead and isn't attached to anyone. This is when the processionary caterpillars are at their most dangerous. 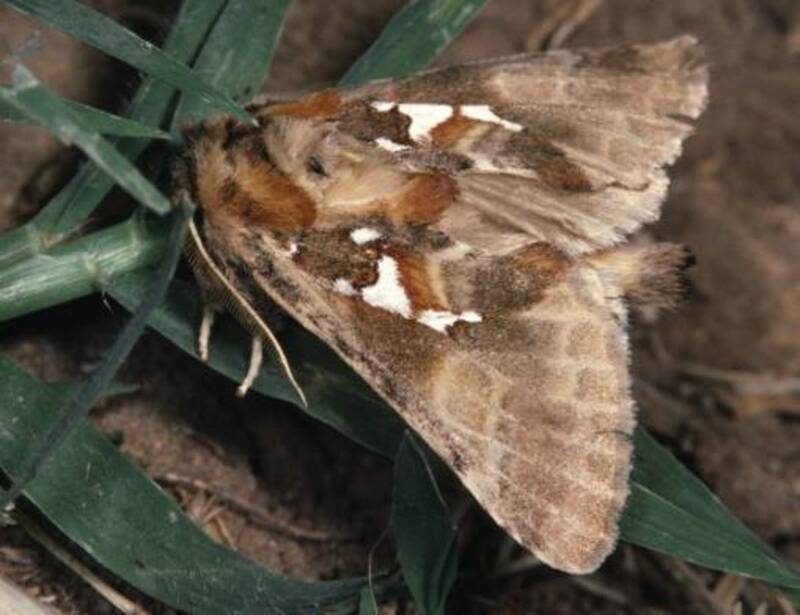 Once they leave the tree, they will travel and find some soft earth they can bury themselves below, before emerging in late summer as fully-fledged and completely harmless moths. The defence mechanism of the pine processionary caterpillar is the release of tiny needle-like hairs which inject poison into whatever the caterpillar feels threatened by. Those hairs can easily kill a pet, especially if they get into the animal's throat where the swelling could affect their ability to breathe. Depending on susceptibility, humans can find themselves anywhere between mildly to severely affected. 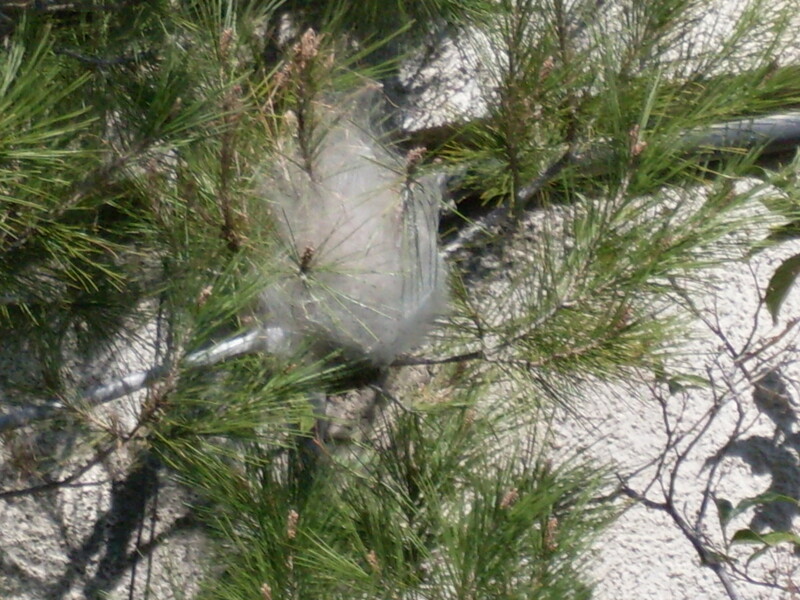 Some people use chemicals to get rid of the nests of the pine processionary caterpillars, especially councils who have been known to routinely spray forests from the air by helicopter. 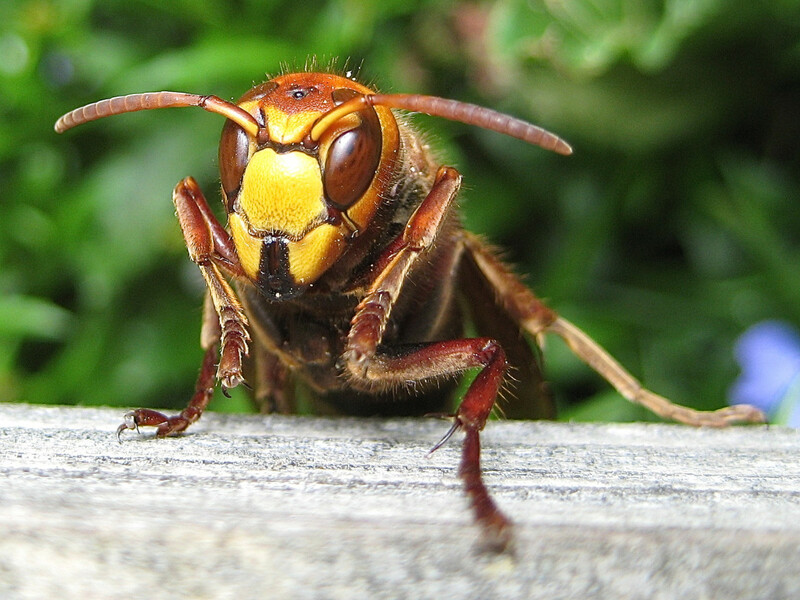 The problem with using chemicals is that those poisons will kill ALL insects, as well as small animals and birds. The affects the whole ecology of a region, and while nature is very good at balancing things out again, repeated sprayings of an area does mean that year after year there is an imbalance with plagues of one type of insect dominating. I have seen this happen many times here in the south of Spain. 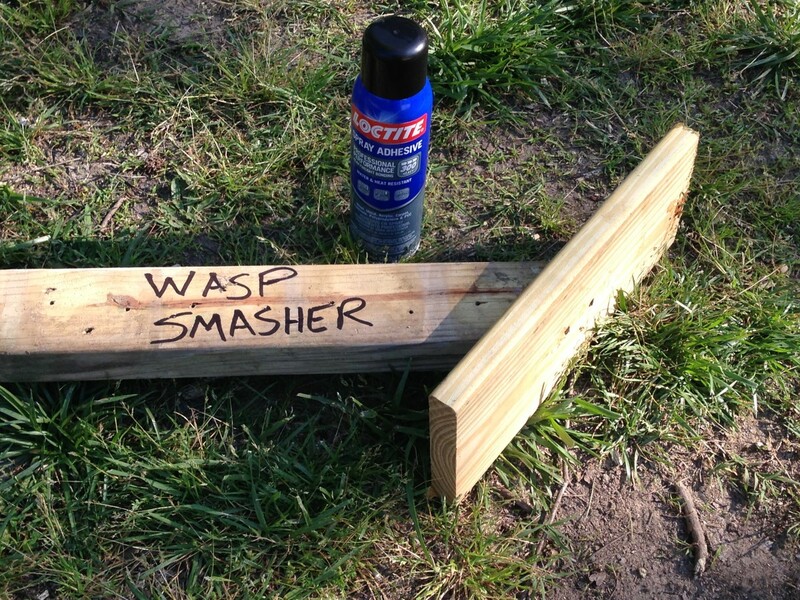 One year there will loads of wasps, another year will be loads of ants, the next another insect species will dominate. Of course, they never balance out because there is not enough food to support the huge numbers of each species when they happen. This problem seems to be entirely man-made, and probably caused by indiscriminate insecticide spraying of wide areas. Other methods of killing the nests is to remove them and stamp on them but this is not the most foolproof way, as some could still escape. 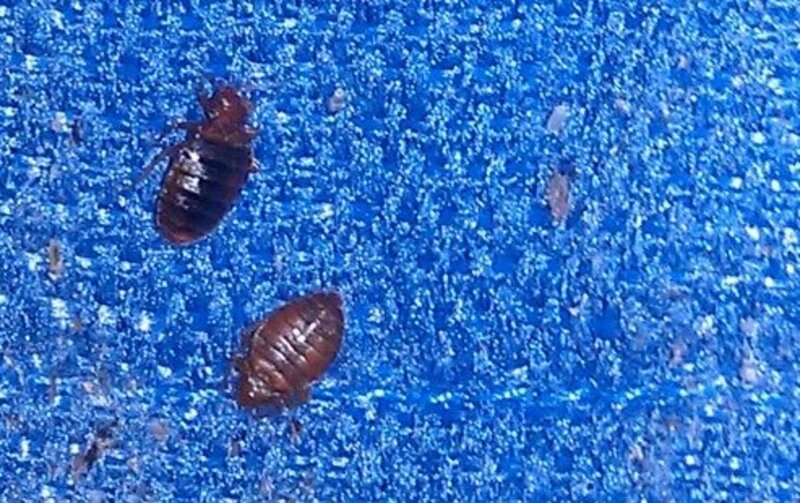 It is also possible to use an insecticide spray directly on the nest itself but again some may be missed, cocooned as the are in their protective nest. 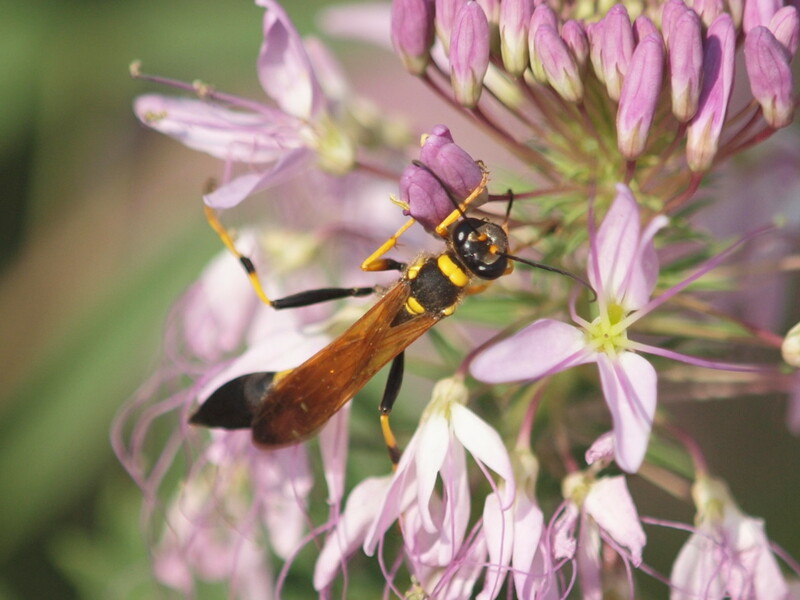 Spraying at nighttime is probably a better bet, when many of them will have left the nest to feed, but again that brings us back to the main problem of accidentally killing other, more beneficial insects. If you want to get of the nest of the pine processionary caterpillar, you want to burn them. 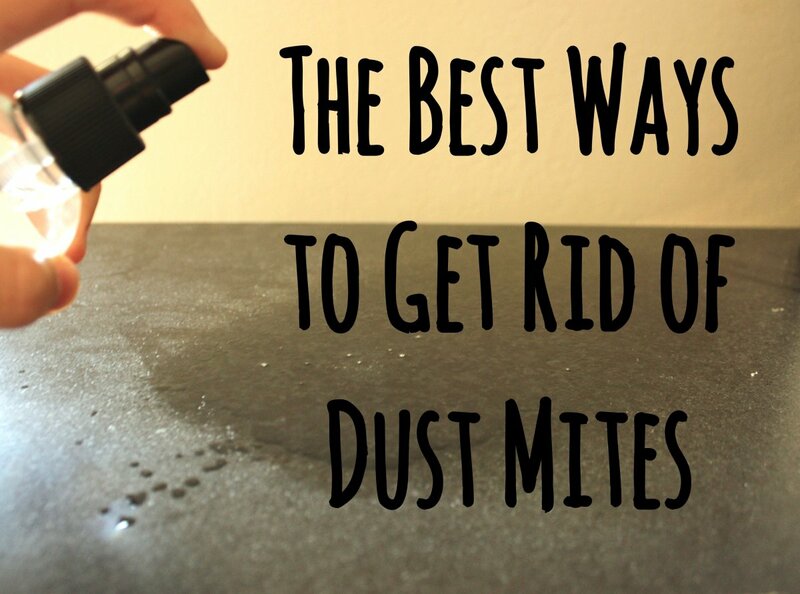 That is the only certain method of making sure they are gone. 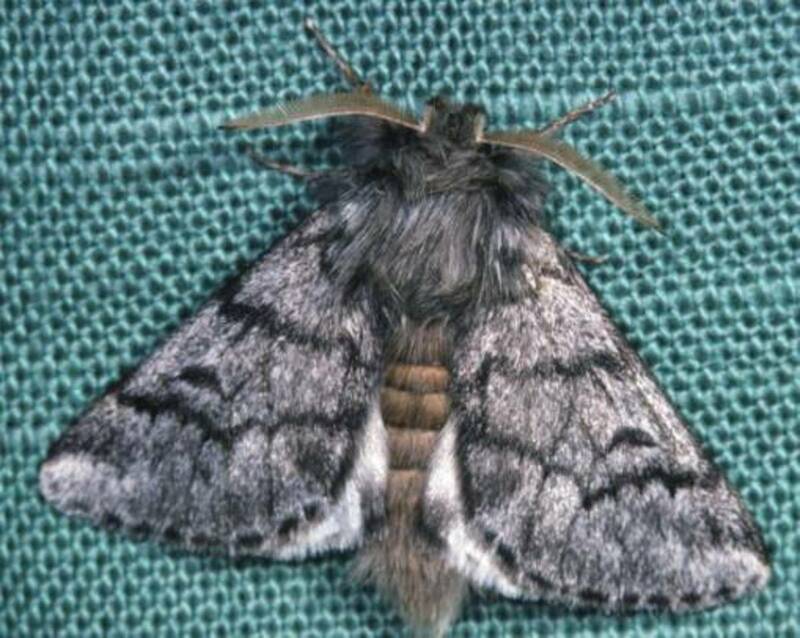 Or else, just kill the parents, the harmless processionary moth Thaumetopoea pityocampa. I have found several piles of these caterpillars on my lawn- they are not walking in a procession but more all piled on top of one another. I have removed them but how long before I can let my dogs out on the lawn without getting hurt..
never burn or stamp on nests! 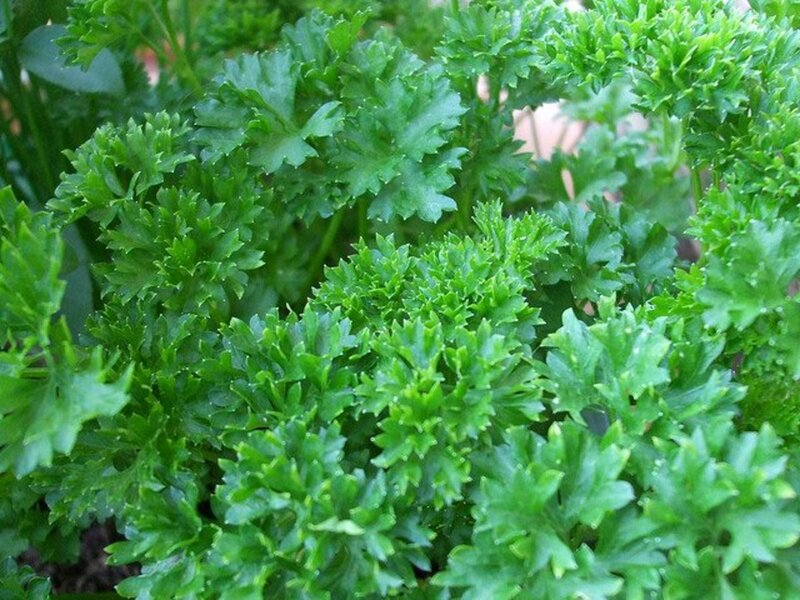 the hairs will go into the air and you will inhale them. Lots of bad advice in this articke. We live in the Vaucluse and this March have cut out and burnt three nests this year. A few years ago we had 36 nests to deal with so it is getting better..
here in italy we bury the long procession as that is less dangerous than setting fire to it. taking care not to get face or dogs too close to them of course. Ah this is true. I assumed the readers to know the area is hot and arid and very prone to forest fires, so glad you pointed it out. Haven't seen too many nests this year thank goodness - perhaps the winter was too mild or something? It's always a worry living on the Costa Blanca with pets. Burning the nests is indeed the only way BUT needs to be done in a very safe and controlled way, as forest fires are another very real danger in the area!